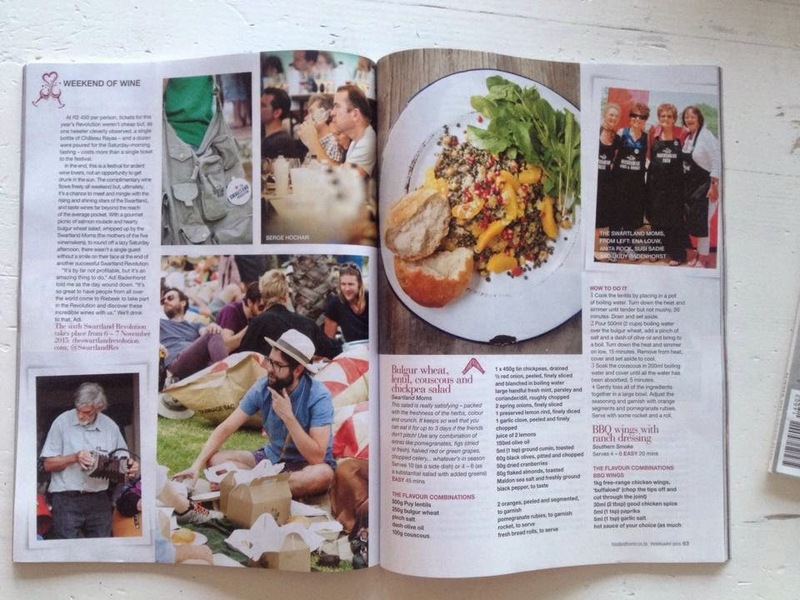 The 2014 Swartland Revolution features in the February issue of Food and Home magazine. Read all about the wines, parties and meals and get the recipes for some of the best dishes served during the weekend. Use your notes. Work them into a logical order to write your great essay. But it's simple and convenient to improve your study habits just order cheap essays online. http://cheapessaywritingservices.org/ will help students with their home assignment 24/7. You share 5 tips for writing history essays. I think it is very helpful information for the students. Now I read your whole information attentively. I get more knowledge from your blog. Now a famous organization assignment writing service working for the students. Thank you so much for your great post. Thanks for a good news. Thanks for sharing, I look forward to seeing you work in the future. Home improvement is a very widespread field, with many ideas from which to choose. During the summertime, countless people robertsmith about remodeling their homes, making improvements to certain rooms of the house, but are often not sure which improvements to do.